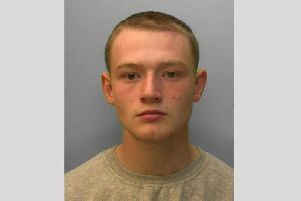 An ‘apologetic’ armed robber who stole money from a Yapton supermarket is being asked to hand himself in to police. A man carrying a knife entered the Co-operative, on Main Road, around 10.55pm on Saturday (July 28), police have said. Police said the suspect threatened three staff members and stole money from the tills, before apologising to the staff and running away. Detective Constable Louise Clark, of Chichester Investigations, said: “The three staff members have been left traumatised by the event and support is being provided. “It is unusual for a robber to apologise for his actions at the time of the incident and we are appealing to him to hand himself in. “The man was wearing a dark grey zip-up hooded top with the hood up, blue jeans, black gloves, a balaclava and grey Adidas trainers with white stripes down the side. “If anyone recognises this man or saw anyone acting suspiciously in the area at this time please report any information to us immediately. To report information, go online or call 101 quoting reference 1557 of 28/07. Alternatively, you can visit the Crimestoppers website, or contact the independent charity anonymously on 0800 555 111.